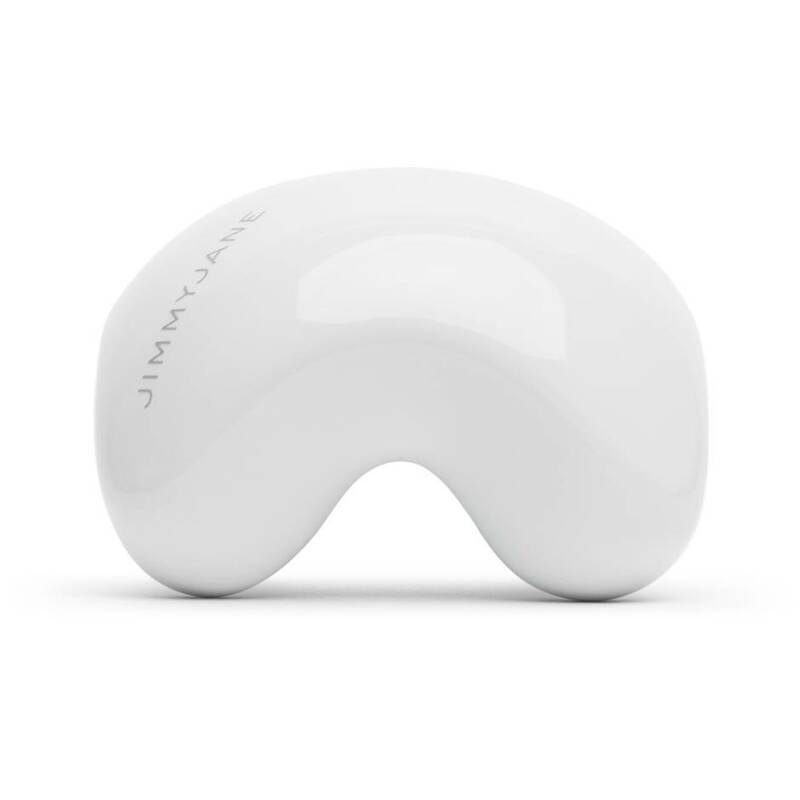 Work out those kinks with this porcelain massage stone from Jimmyjane. Use the large dome for broad strokes across the shoulders and back or work on individual knots with the four small nodules on the opposite side. Order over the phone: Call 0044 1225 303 840 and quote code 16816. Beautifully designed, the Contour M can produce a different massage sensation every time you use it. Offering a modern take on traditional hot stone massage, this sensual object glides over the skin, relieving tension as it goes. Warm it up or cool it down in water for divine temperature play. I absolutely love my Jimmyjayne contour massager stones! We have two and they're perfectly sized to get rid of all that tension in between my shoulder blades. The comfortable palm grip makes it easy to use. I love that it can be used with oils or massage bars and is easy to clean after. Try putting the stone into some hot water to heat it up for a hot stone massage! Heaven! 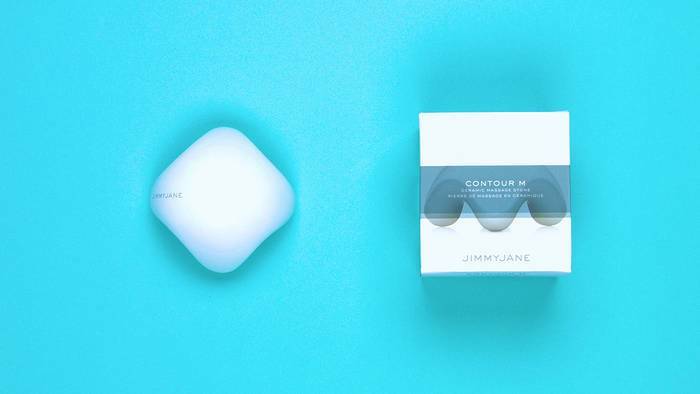 I highly recommend the Jimmyjayne contour massage stone! I hated giving massages until I got this little helper. It looks quite elegant and pretty, has a nice weight to it, feels nice in my hands and on the recipients skin and really manages to work out those deep knots. I particularly liked how I could heat it up or cool it down to change the sensations and how easy it was to clean afterwards (when combined with oil). Its design and ease of use. It's a great little helper for all your massage needs. Wanting to treat my wife to a special massage and something a bit different, I bought this as I've only ever used my hands before in the massage. When it arrived the packaging was of high quality, it really does look like a premium product. Inside was a small leaflet and hidden underneath the massage stone. The stone itself is perfectly sized to hold onto (about the size of my palm). 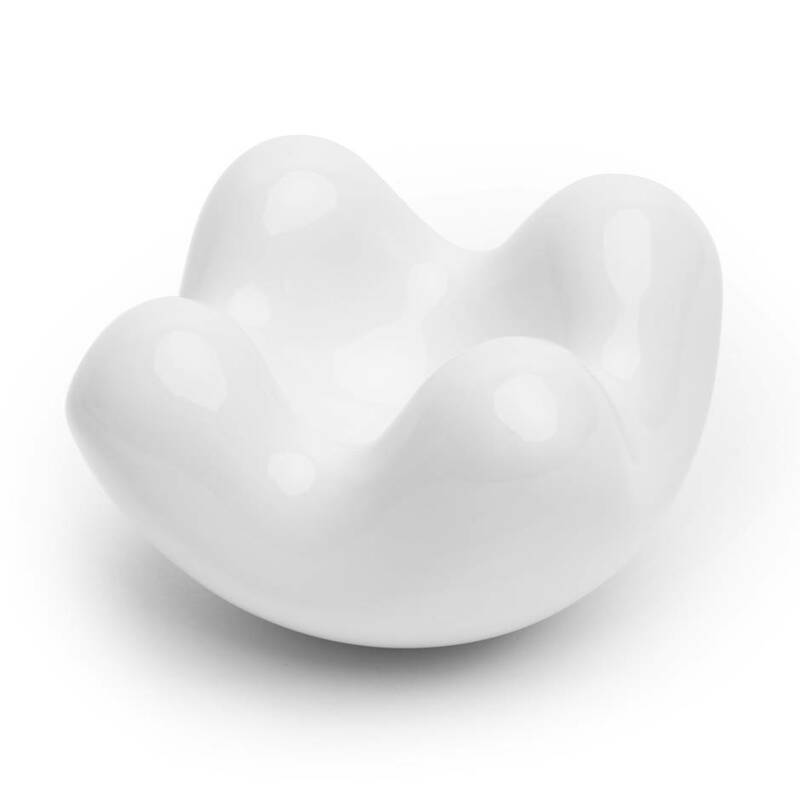 It is smooth and glossy as porcelain is and slightly lighter than I expected as it appears it is hollow. The leaflet suggests it can be used flat down (all four bumps), side on (two bumps) or on it's back (one large dome). I warmed mine up in a pan of hot water that I kept to the side, it only takes a minute to get to a nice temperature. It also floats so no need to go fishing in a hot pan of water, which I thought was a nice touch. The middle of the stone (between the four bumps) acts like a little bowl to pour oil into. I found this rather handy with the melting massage candles as I could pour the molten wax into this first. Using the massage stone as the masseuse gave me far more confidence in what I was doing. I would switch to the back of the stone for long strokes down the thigh, move onto the edge and then use all the bumps on the back. I found twisting your hand as you move the stone up and down added another dimension. The stone does start to cool (back to body temperature) quicker than the Lovehoney massage stones I have, however, it only takes a minute to warm up back in the pan of hot water. This gives a nice break to have some skin on skin contact. The leaflet does suggest the stone can be cooled for an 'invigorating' massage, not sure that is my bag. Well worth the money and a great upgrade to a normal or even special massage. P.S. My wife loved it! The quality is second to none.